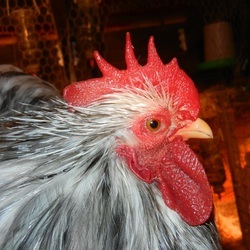 Entries for the Winter 2013 Show will be accepted beginning February 1, 2013. 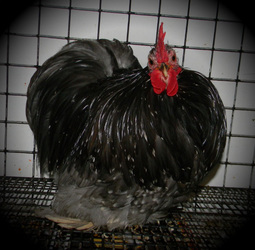 The ENTRY DEADLINE is Midnight, February 7, 2013 for both Entry Form (online) and Photo Submission (email). 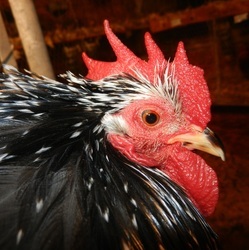 JUDGE for the Winter 2013 Show will be Jamie Matts. 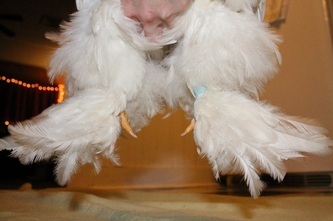 Photos of all entries will be posted below as they are received. 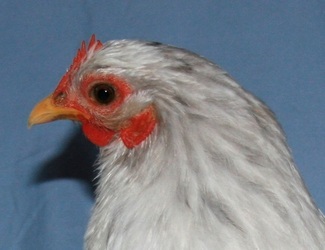 As with normal show Coop Tags, Exhibitor's names will be not shown. Click on the first photo of each entry - it will enlarge and allow you to scroll through all six pictures. "Nice type for a red and color, weak in cushion." 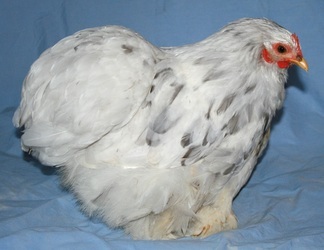 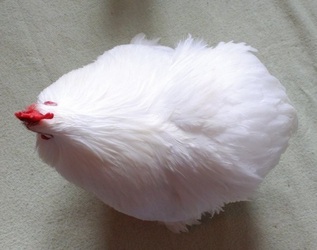 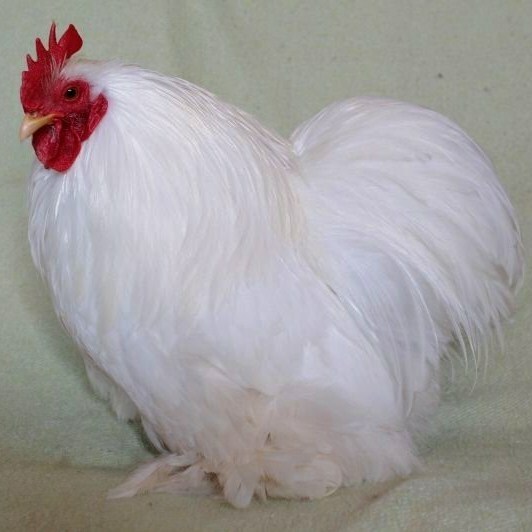 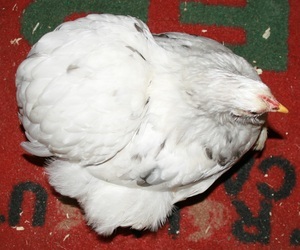 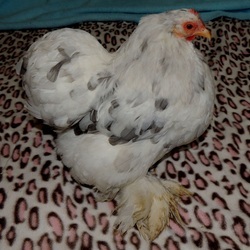 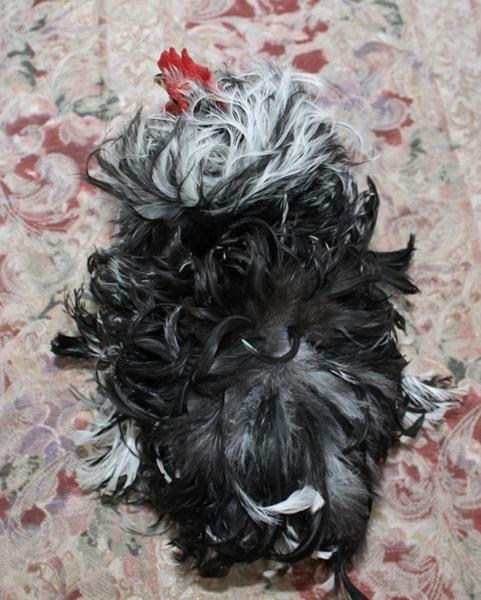 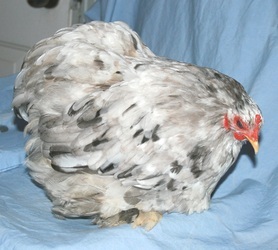 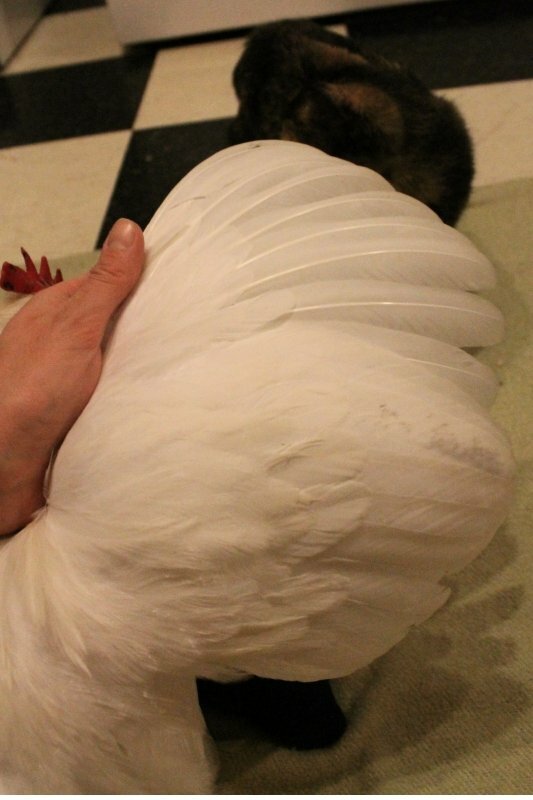 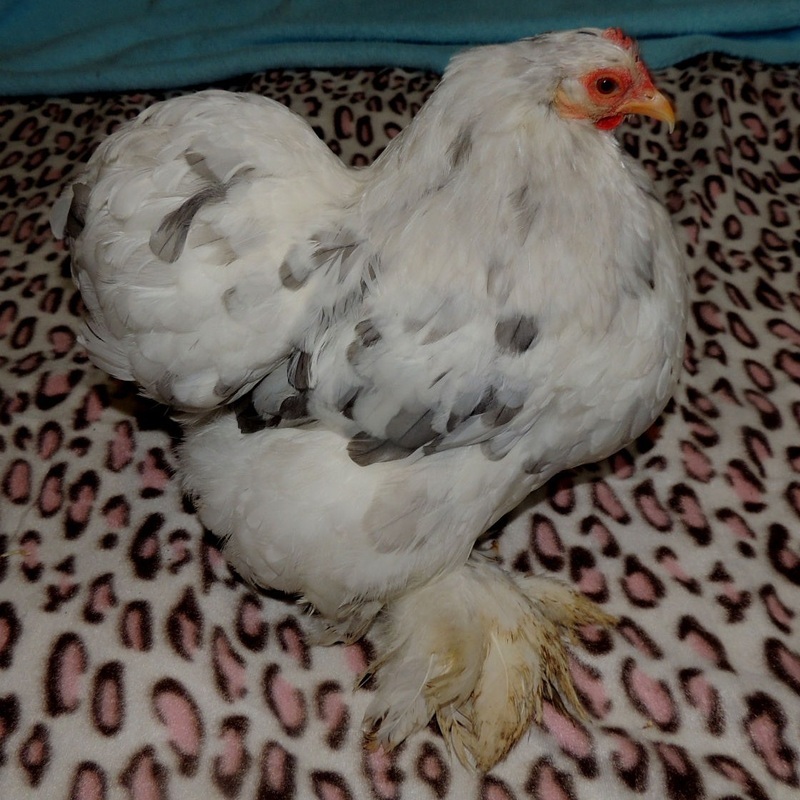 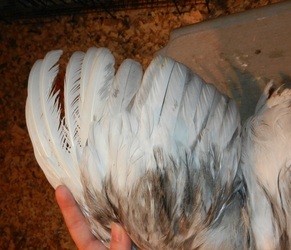 "Nice type, weak in cushion, feathers need to be tipped more in white, may change with age." 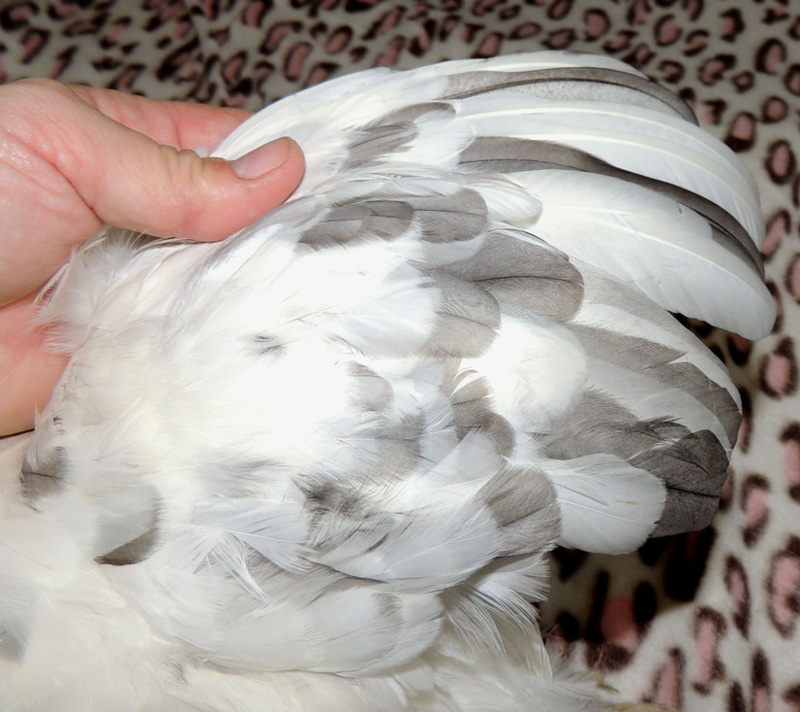 "Trim beak, weak wings, nice white tips on feathers correct markings." 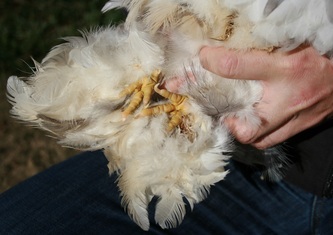 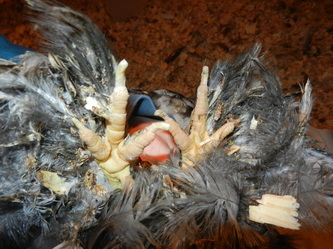 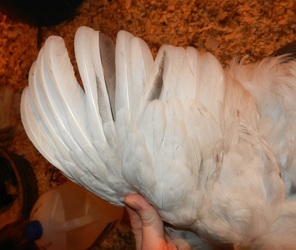 "Trim beak, pop spurs, getting too white probably a few years old." 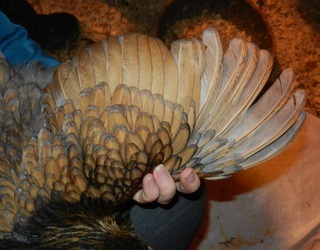 "Nice color, weak in wings, not finished in cushion." 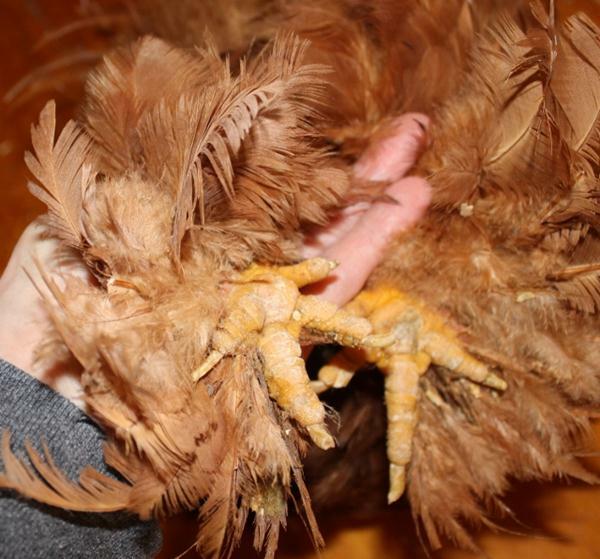 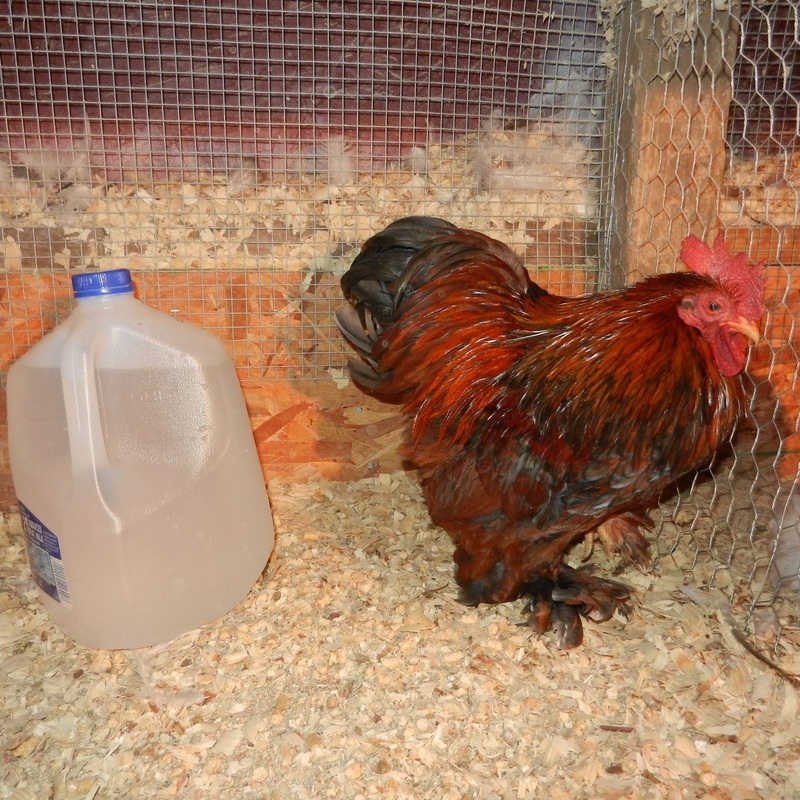 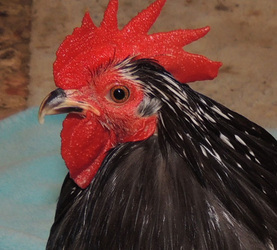 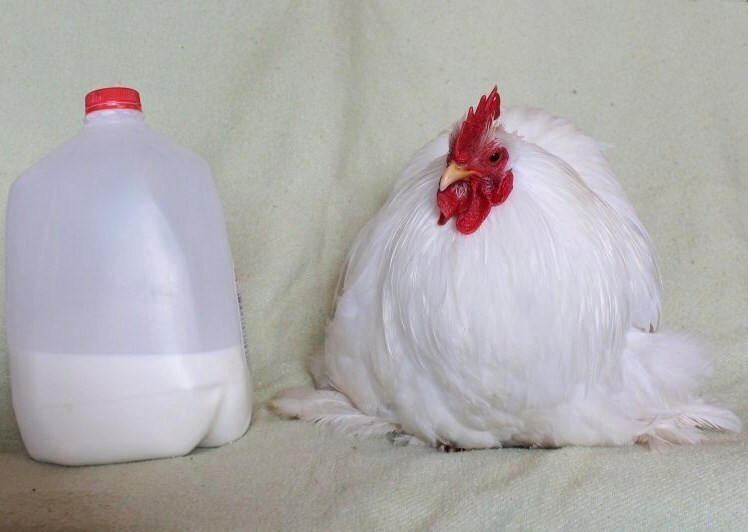 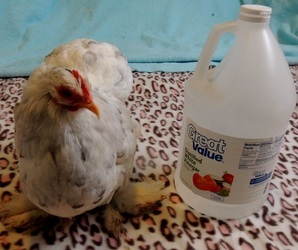 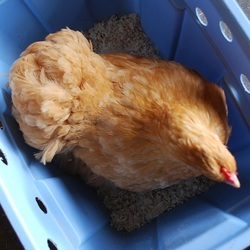 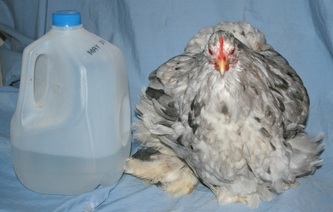 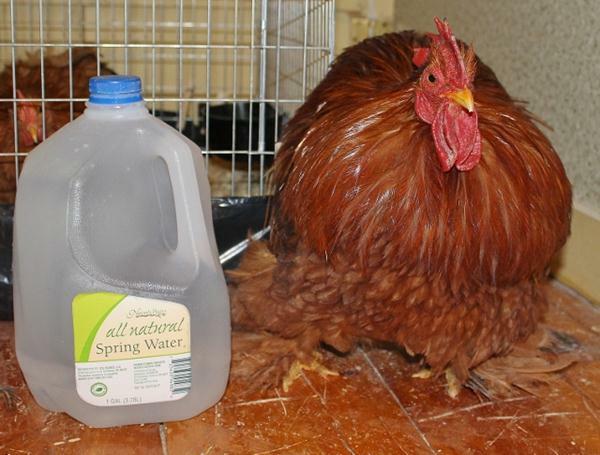 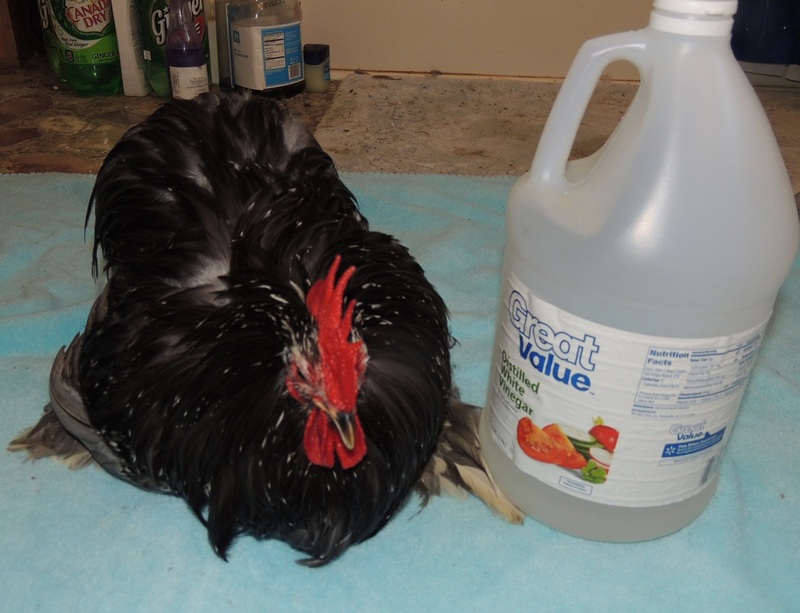 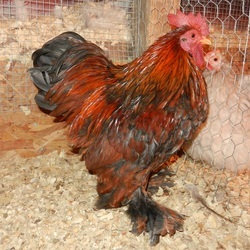 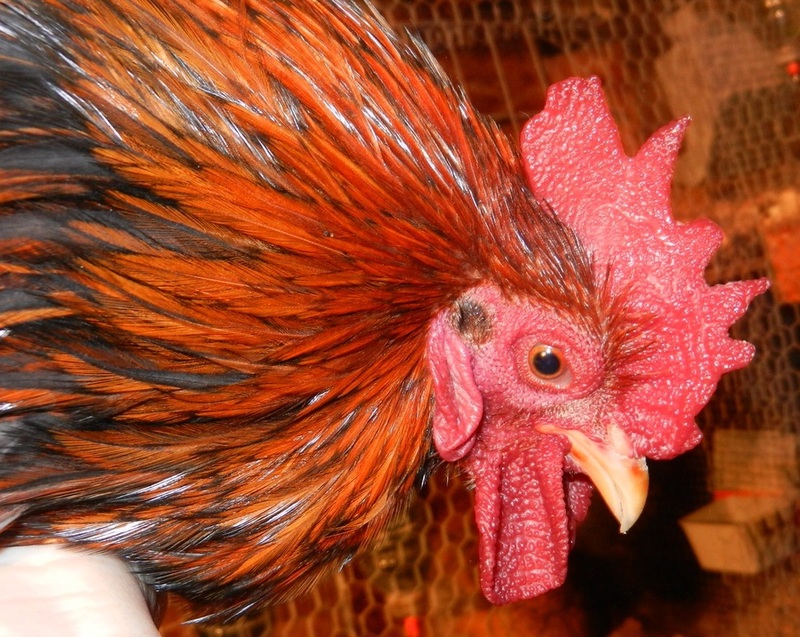 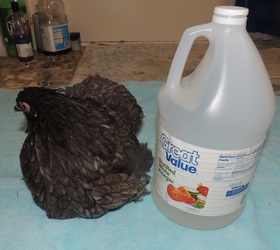 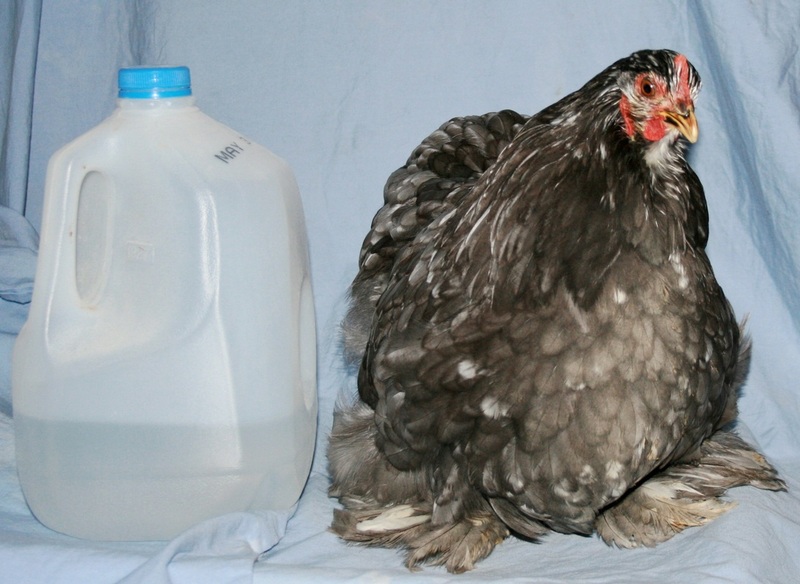 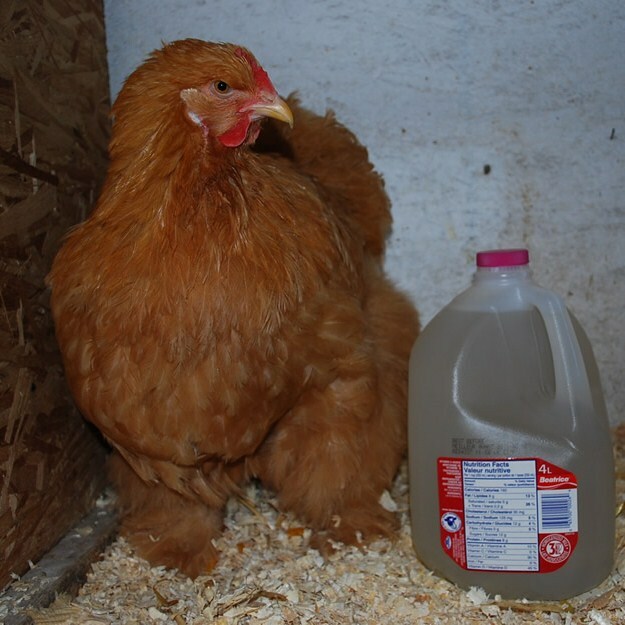 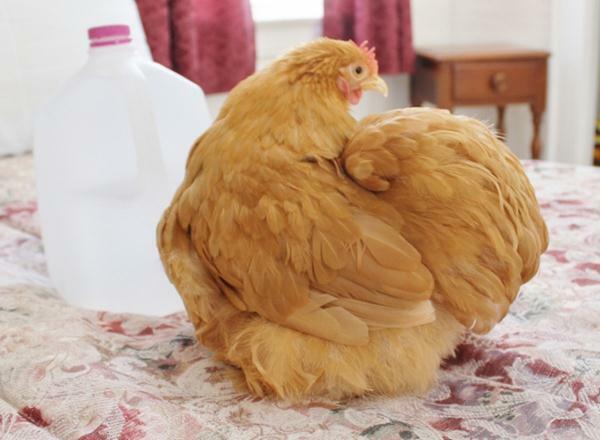 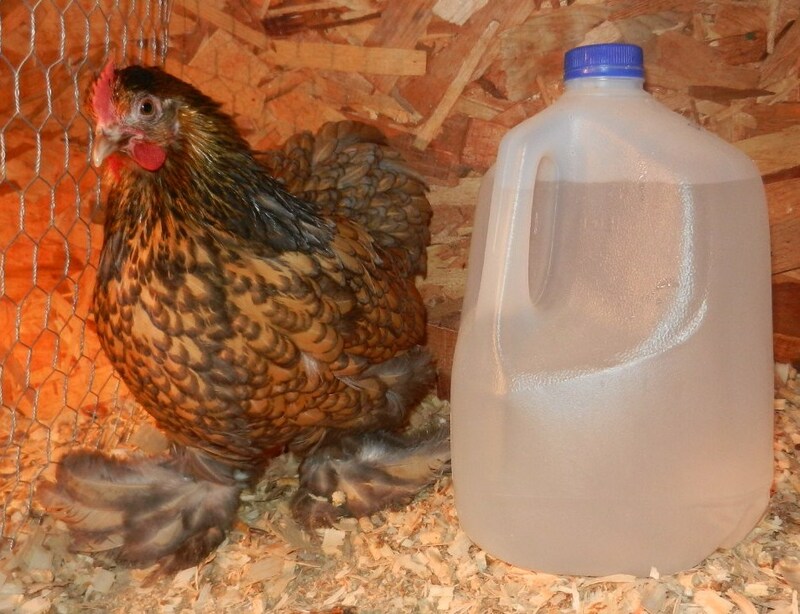 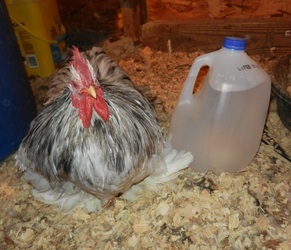 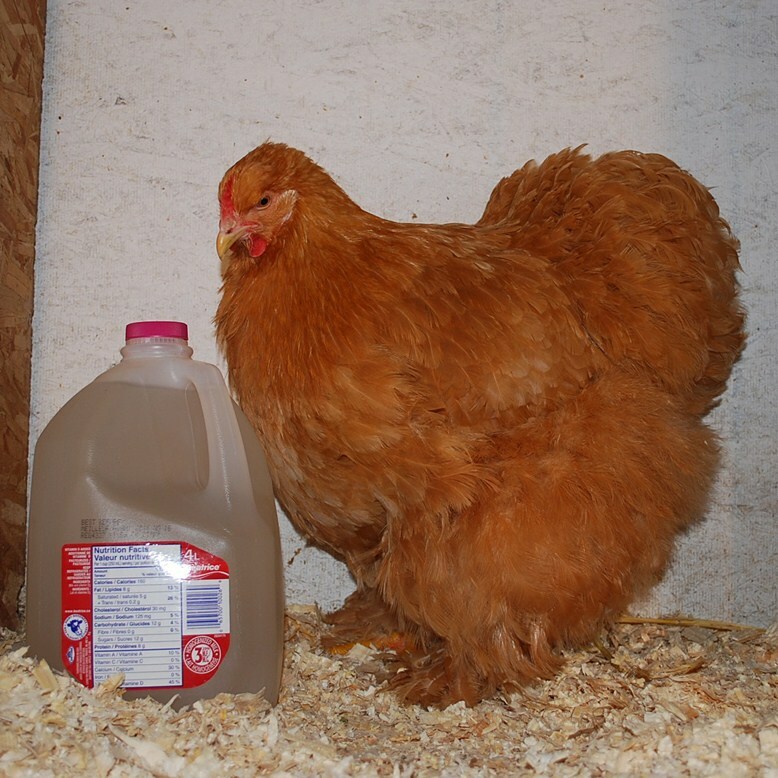 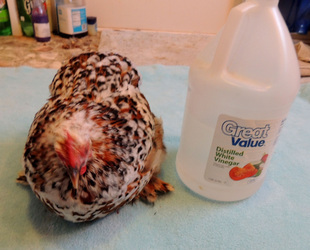 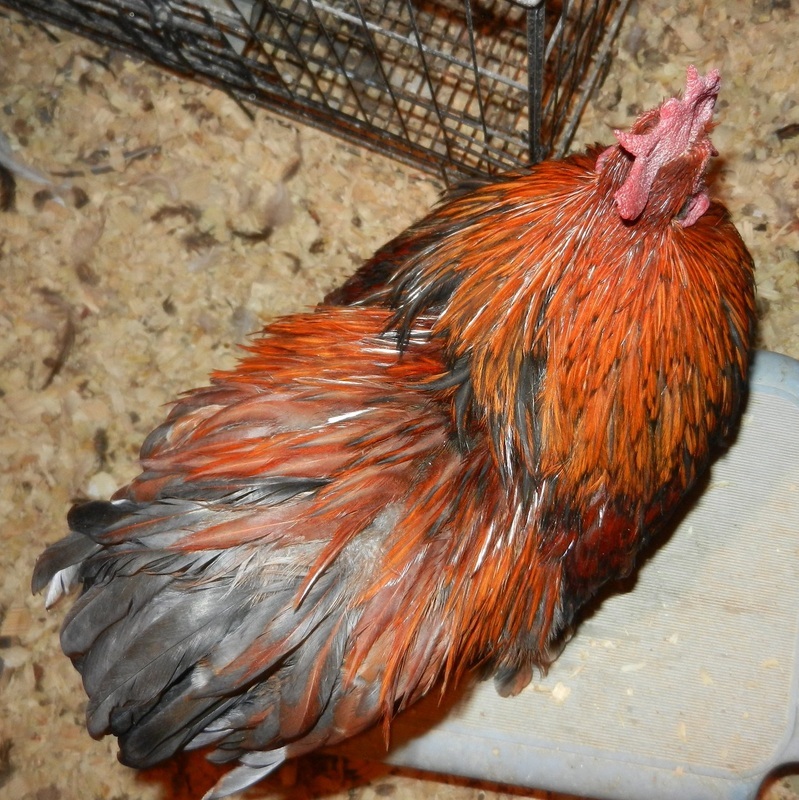 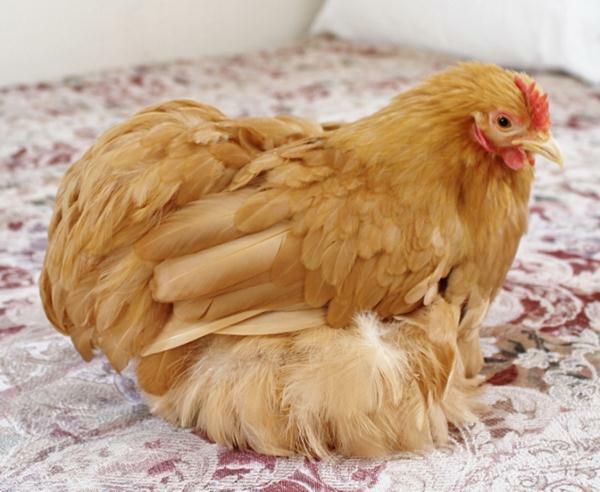 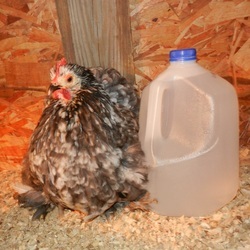 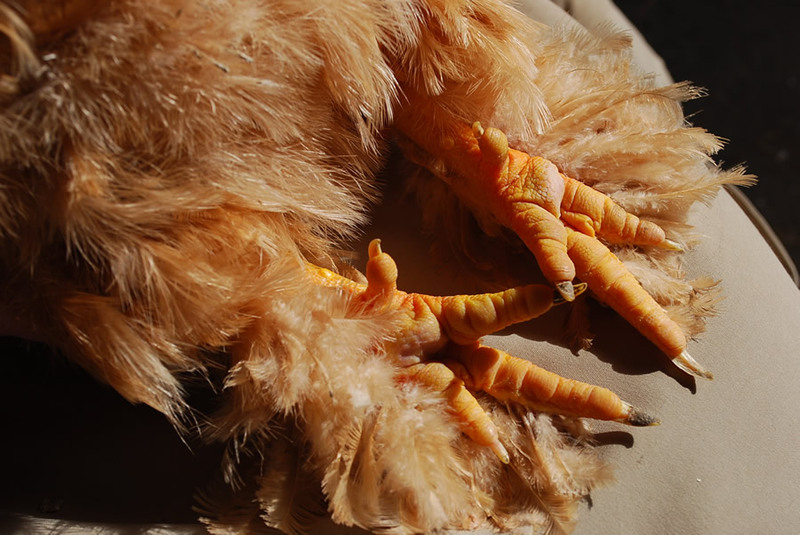 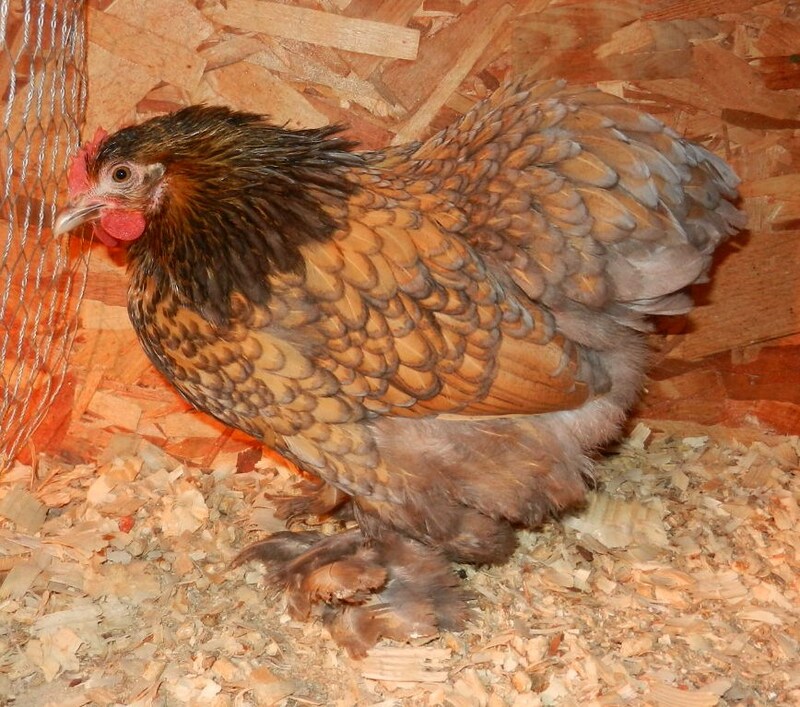 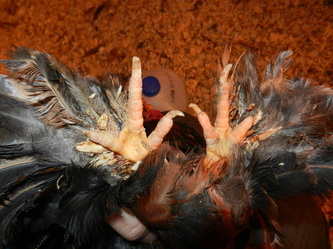 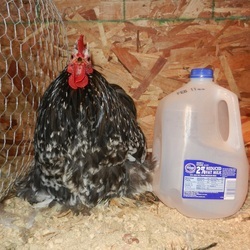 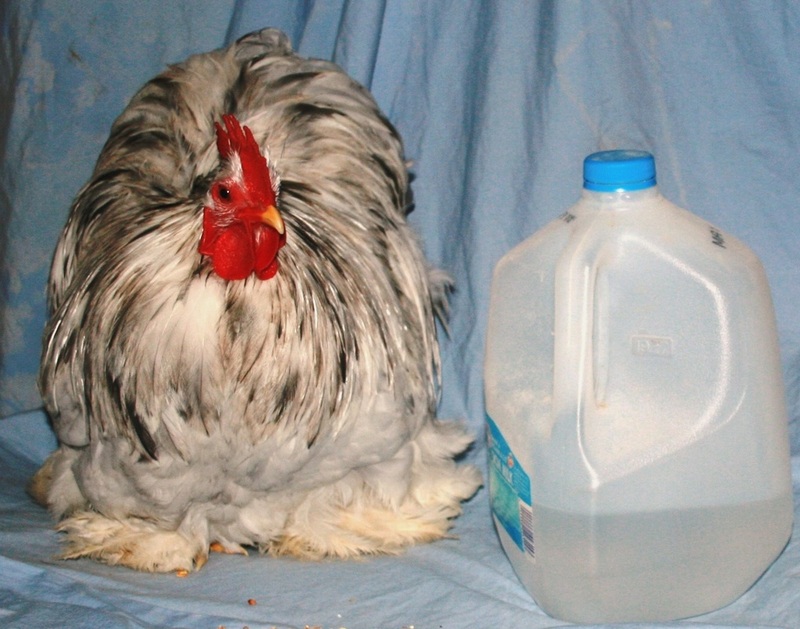 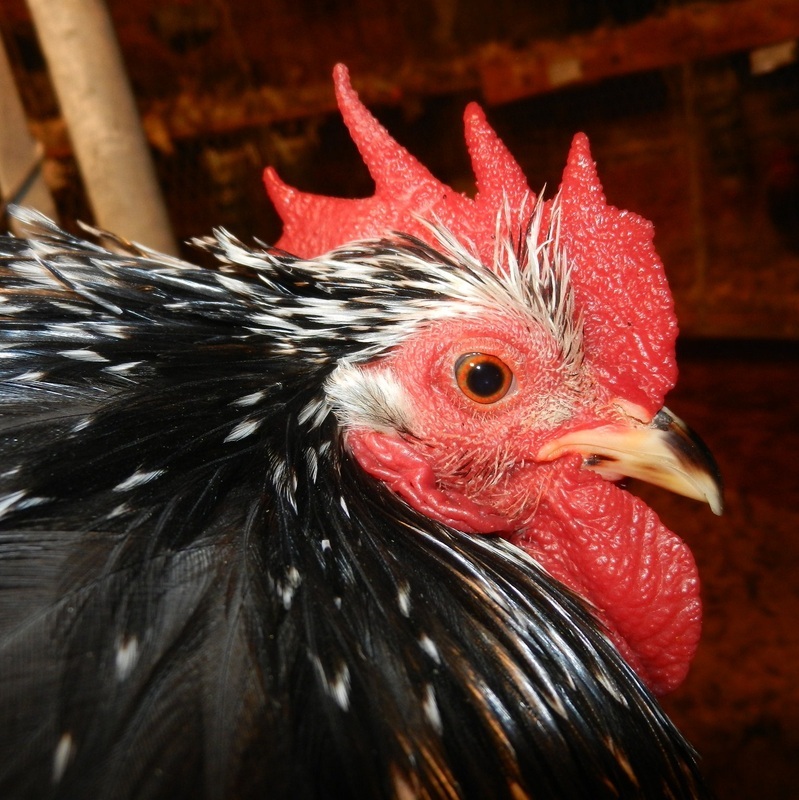 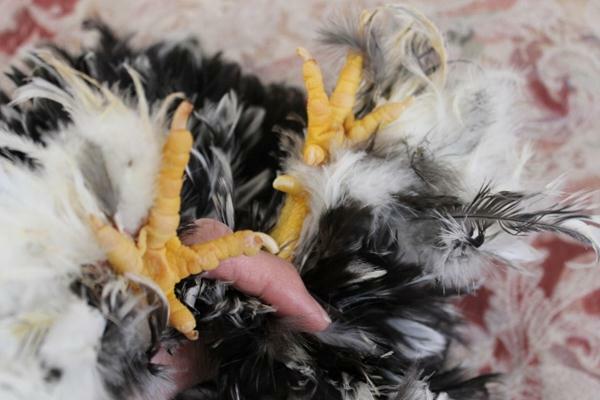 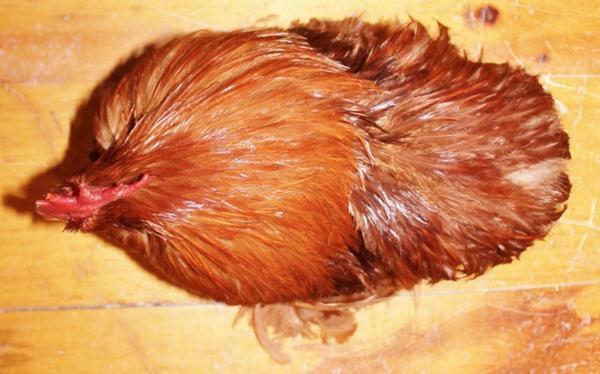 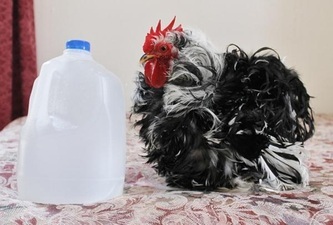 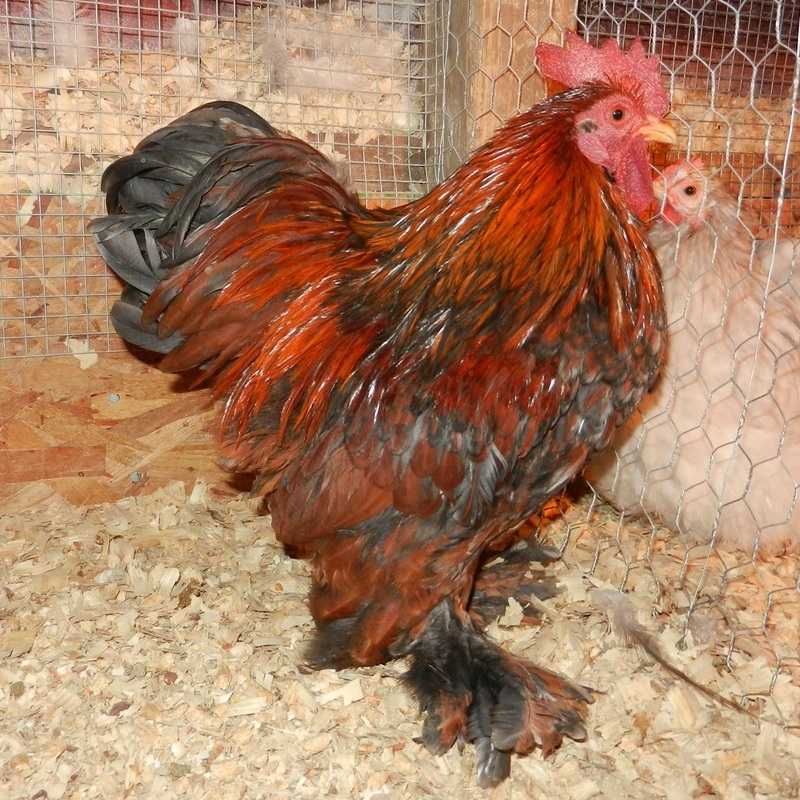 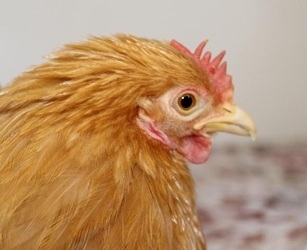 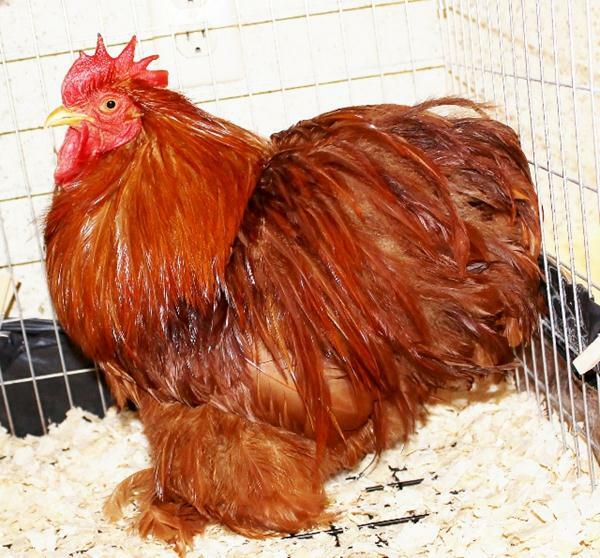 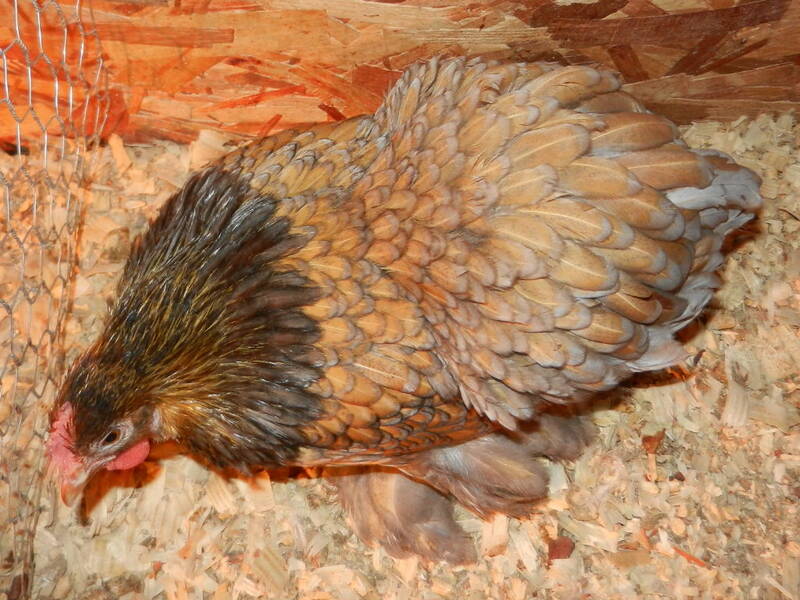 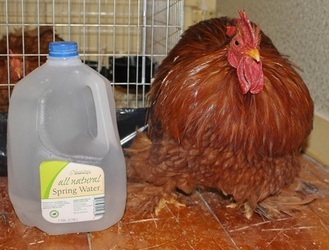 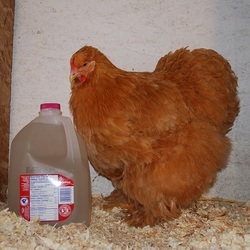 "Needs more color for Splash variety, yellower feet as a pullet would be nice." 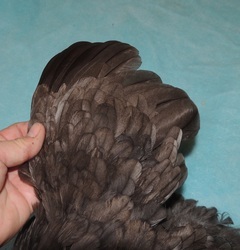 "Trim beak, nice color, tight feathered as far as type." "Kudos for raising this variety!! 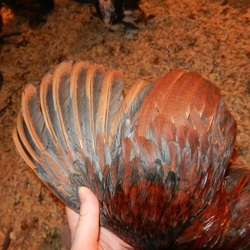 Work on lacing, coloring is off." 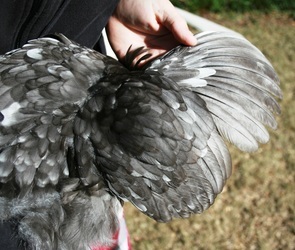 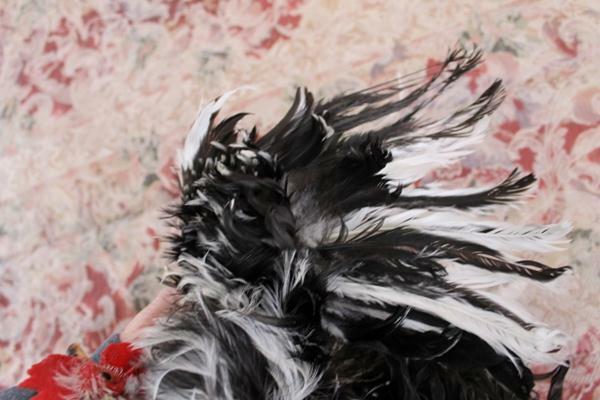 "Type-too tight feathered, color pattern off." 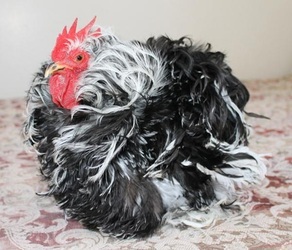 "Condition rough, stringy cushion feathers, trim beak." 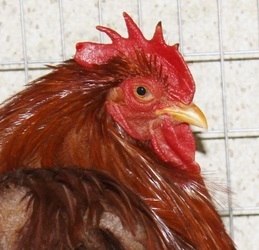 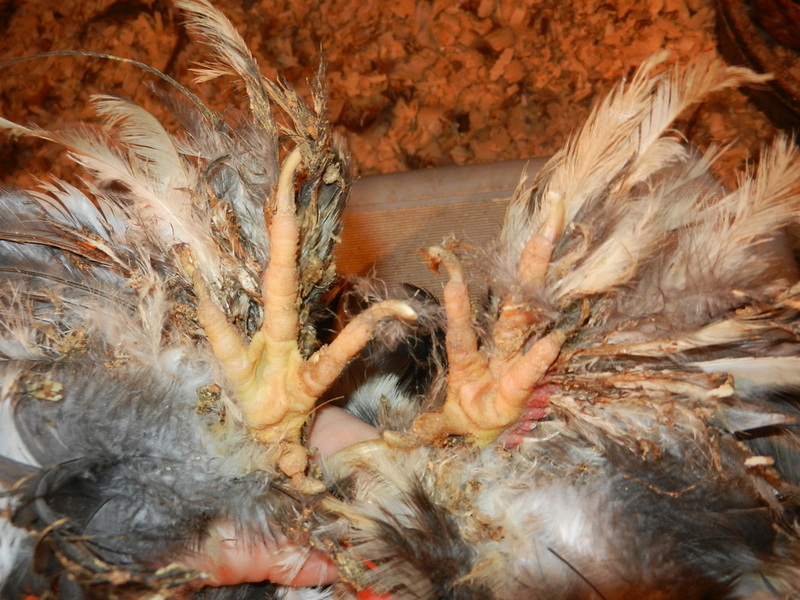 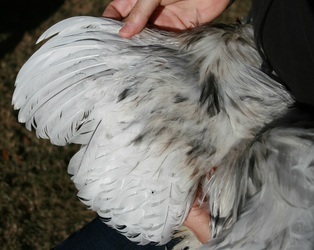 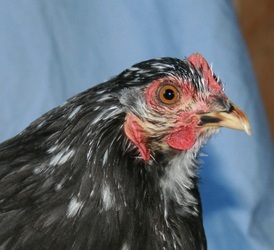 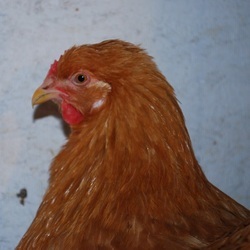 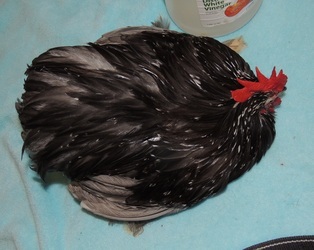 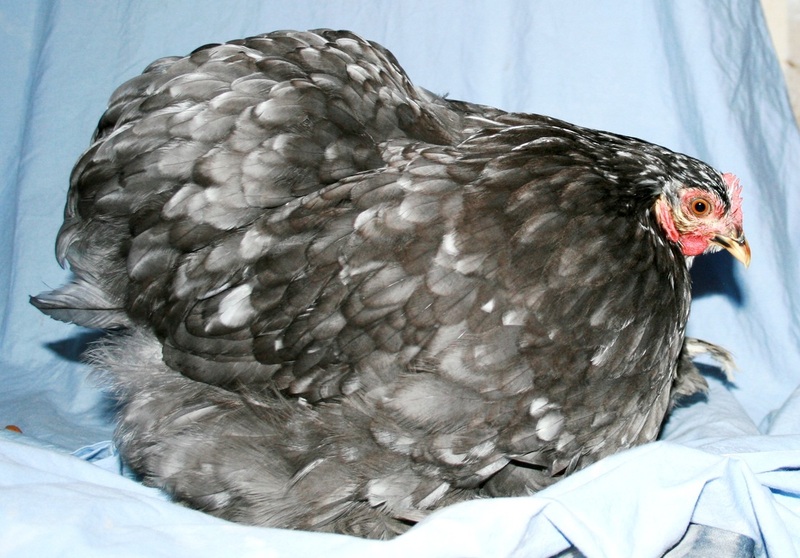 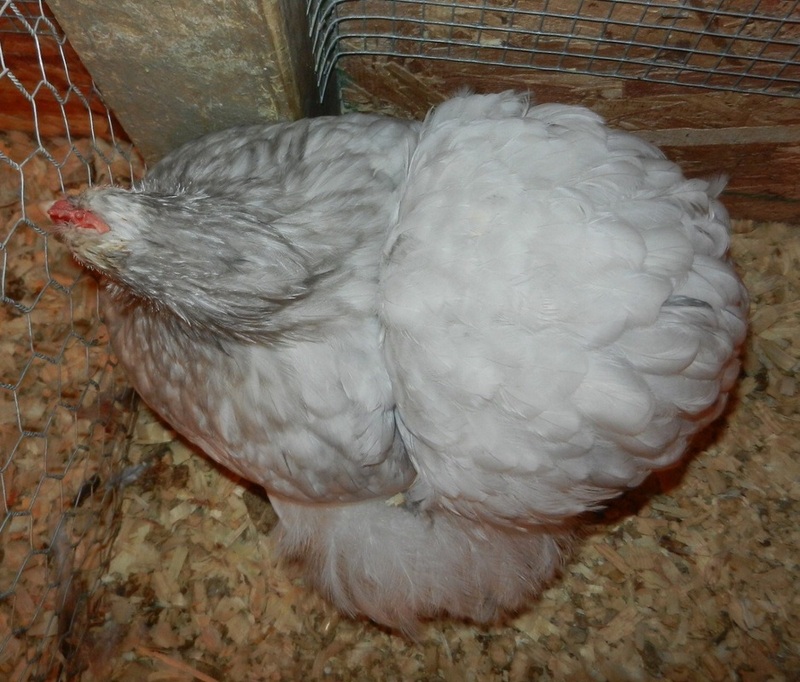 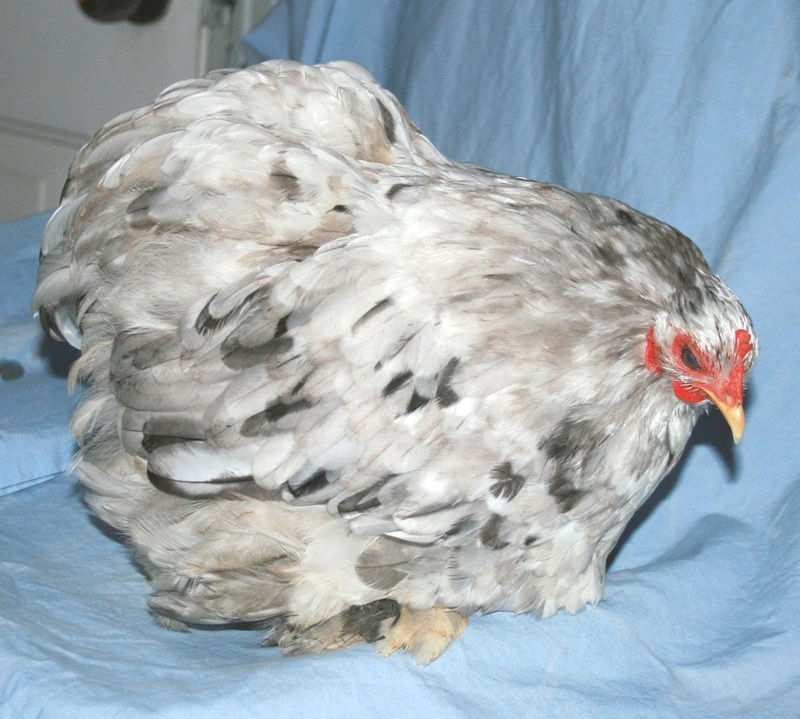 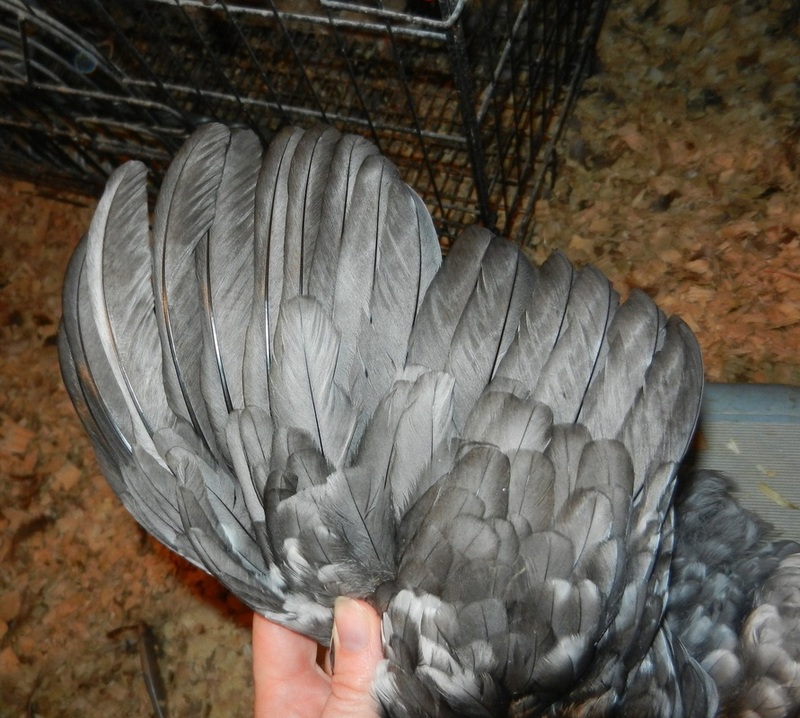 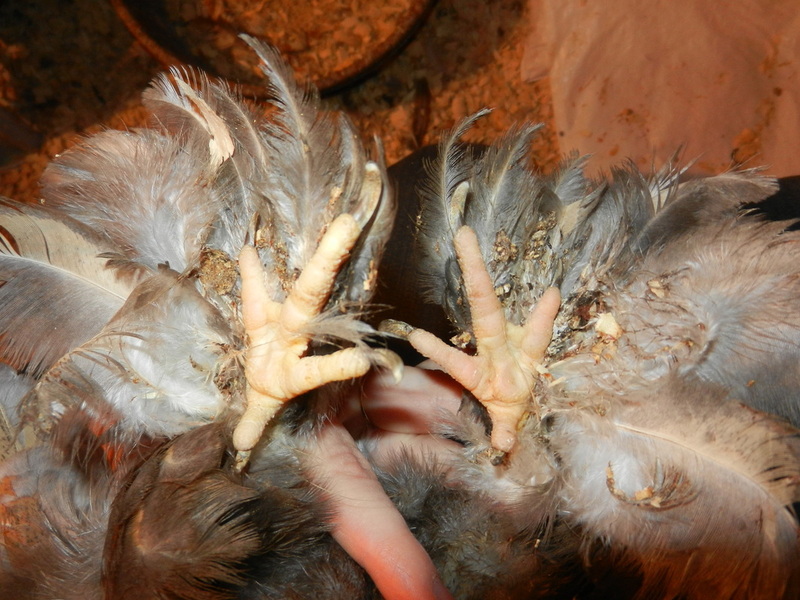 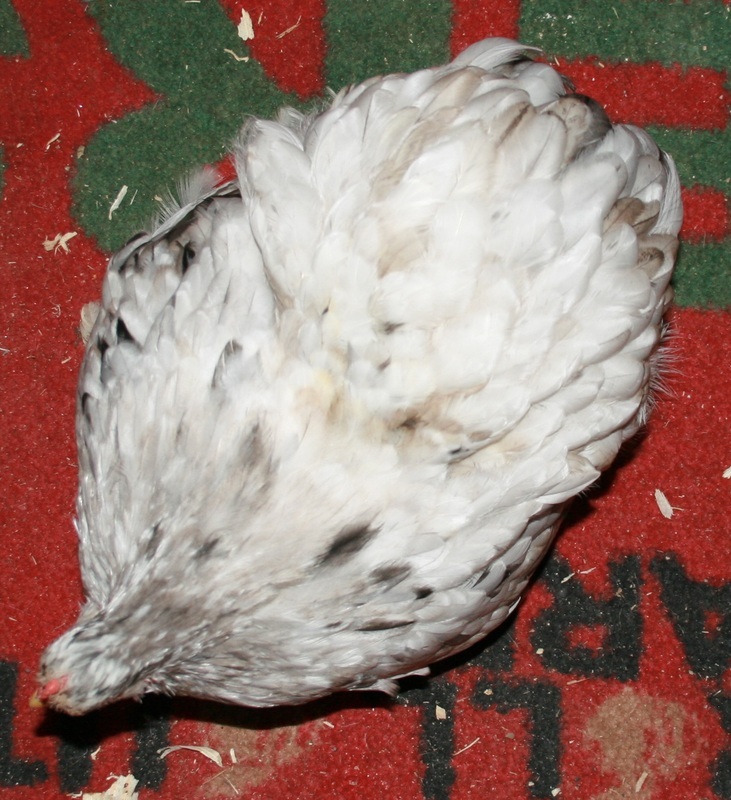 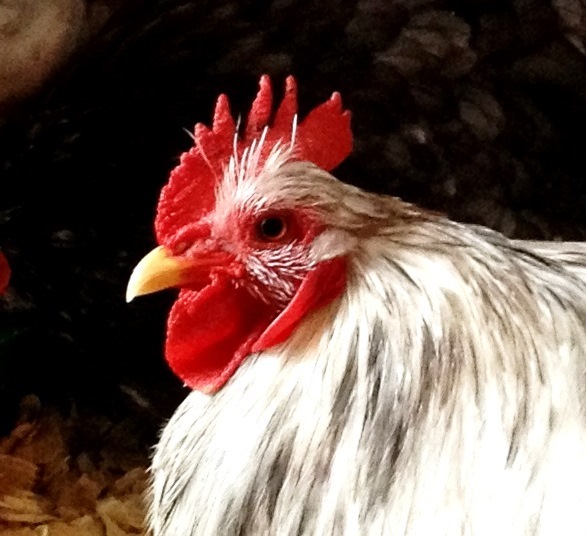 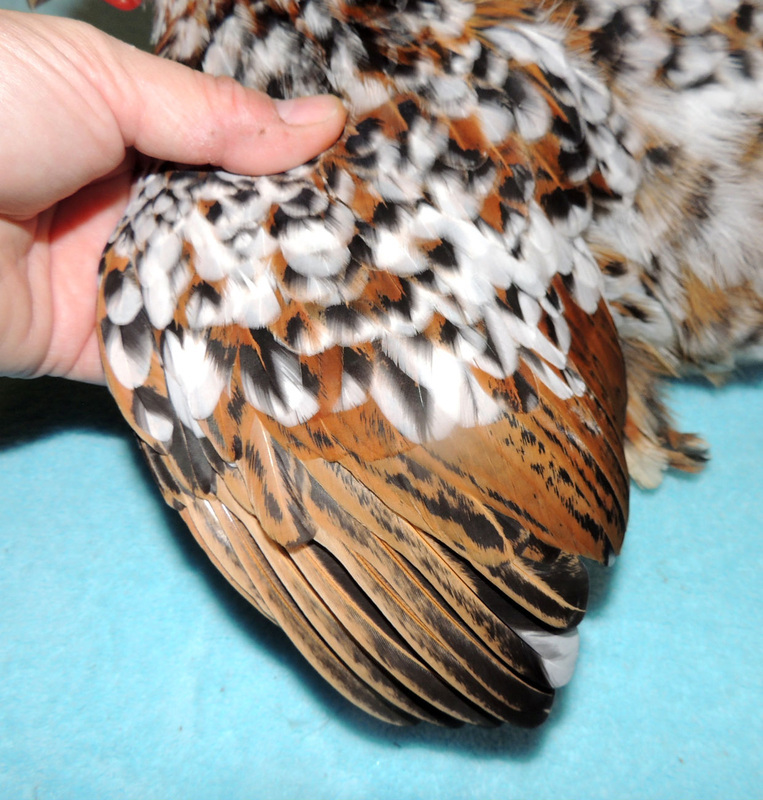 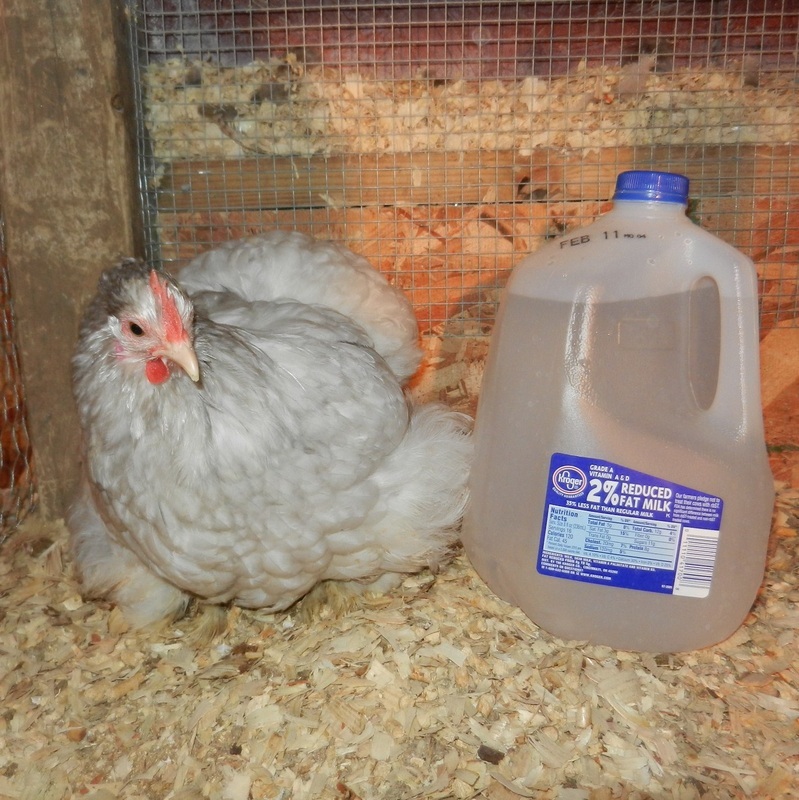 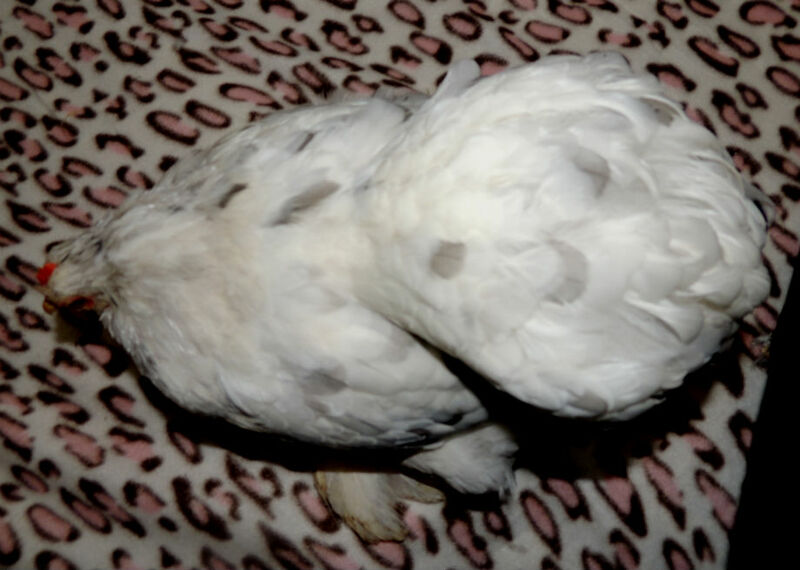 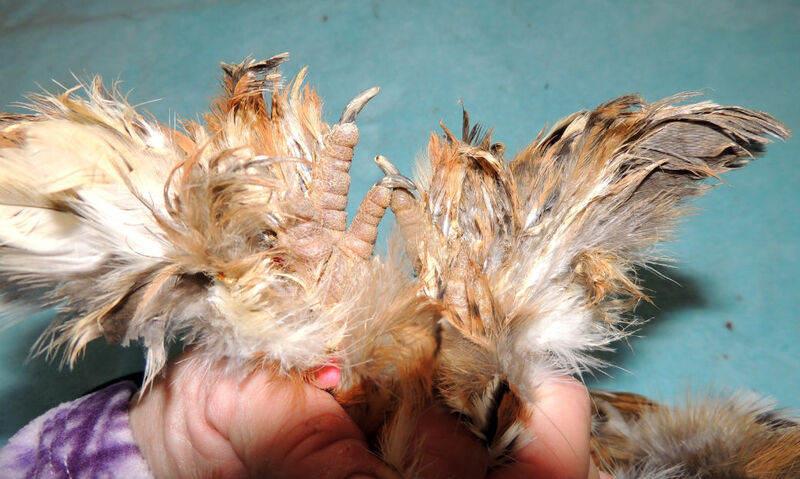 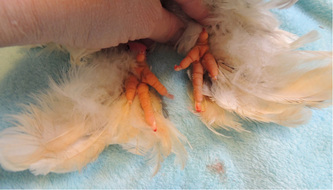 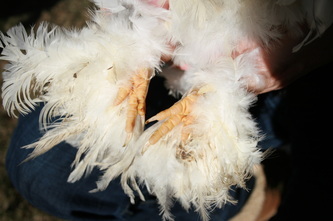 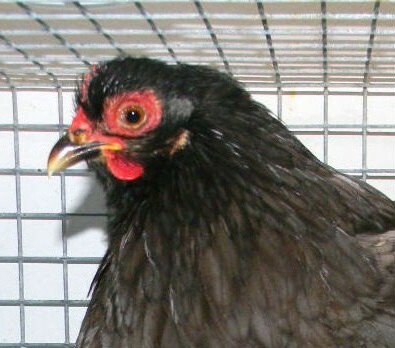 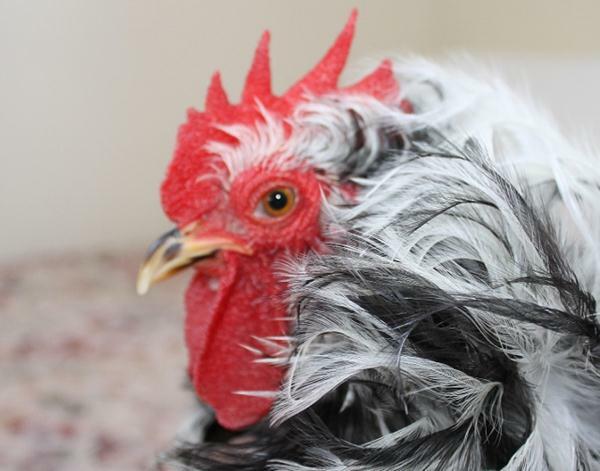 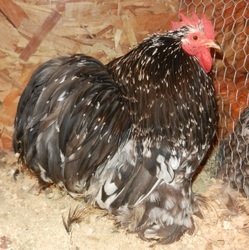 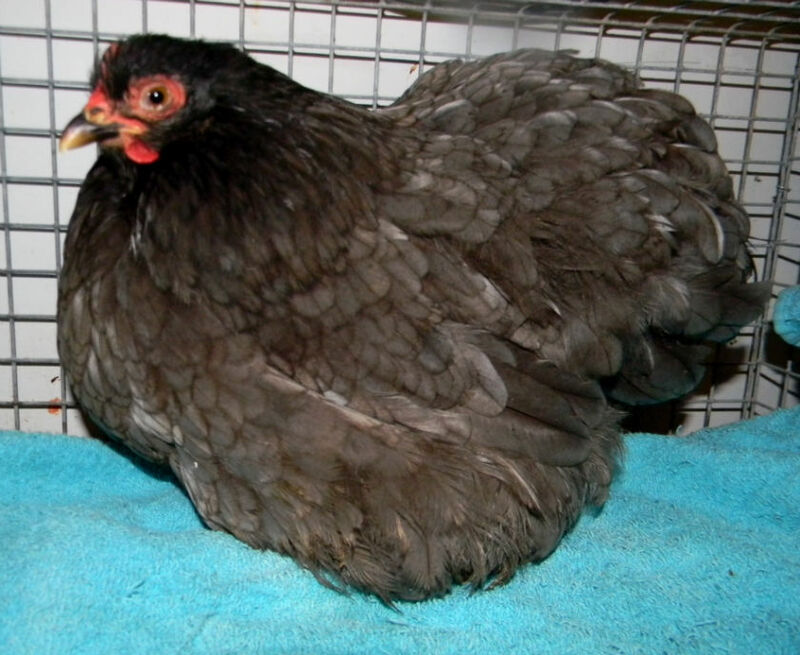 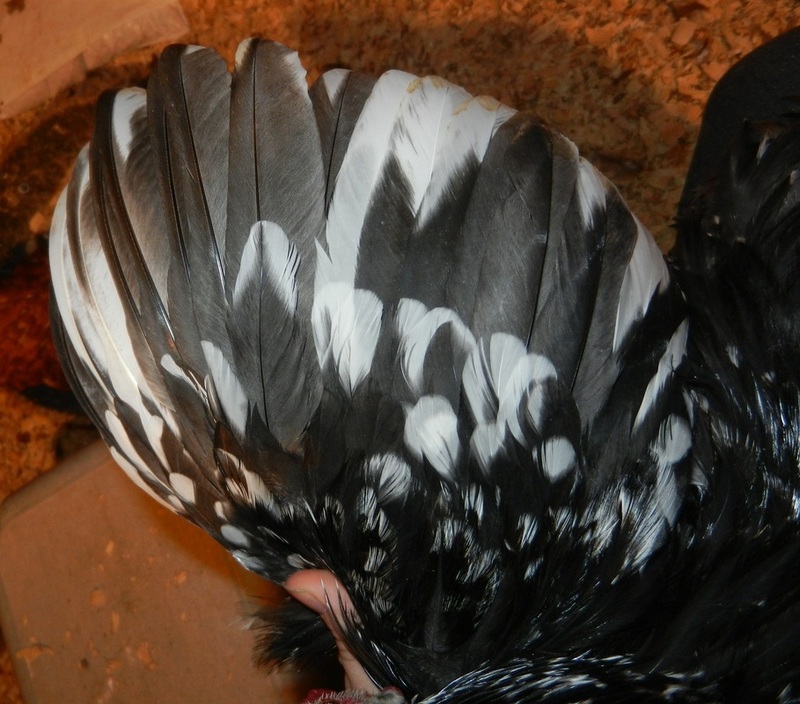 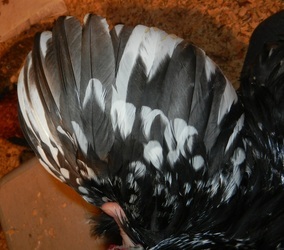 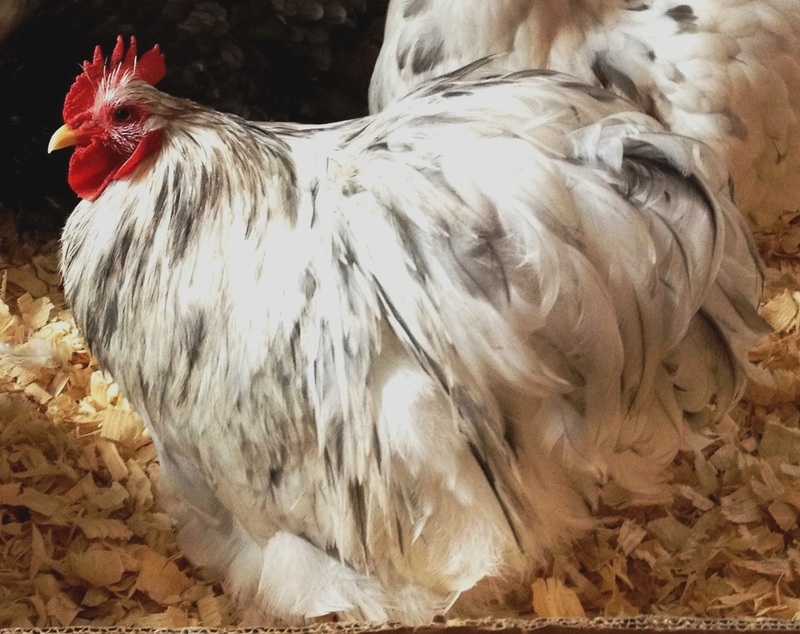 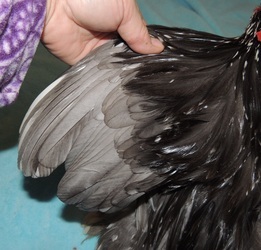 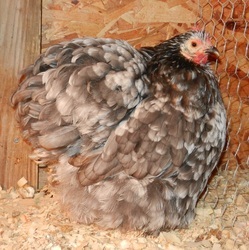 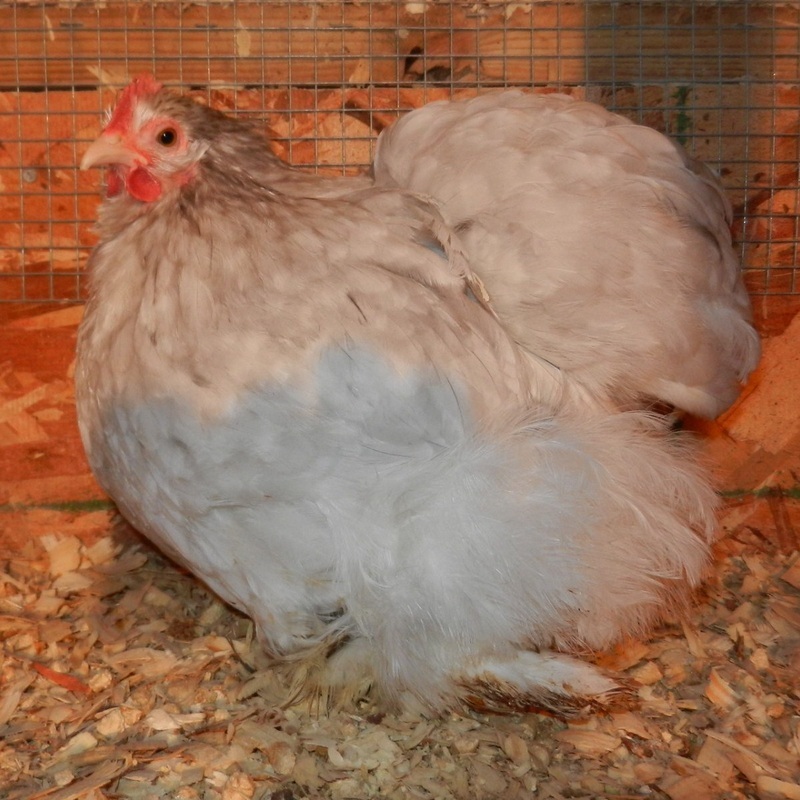 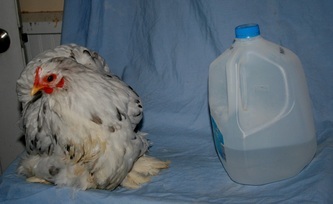 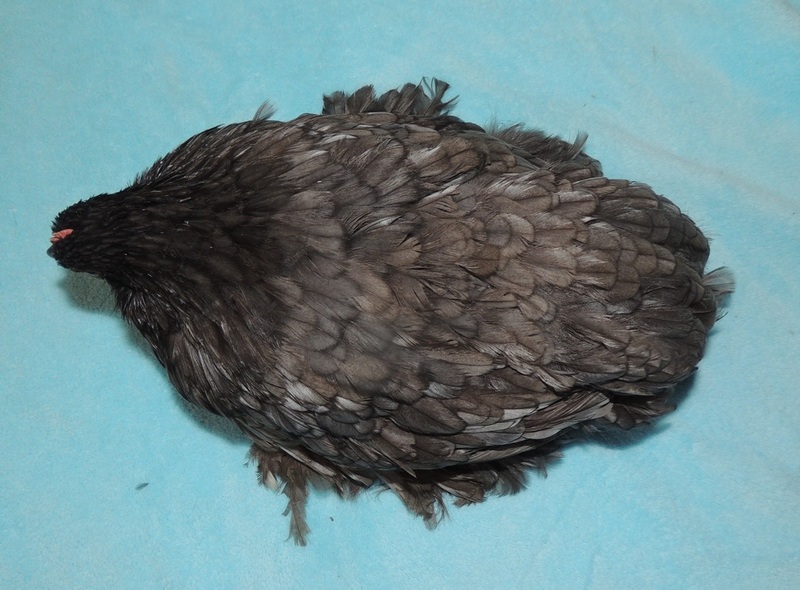 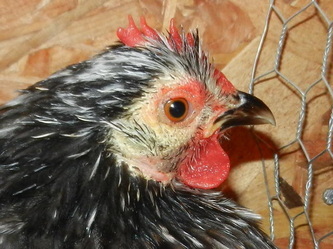 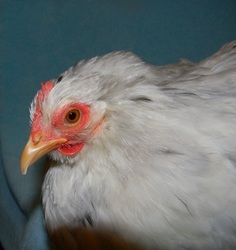 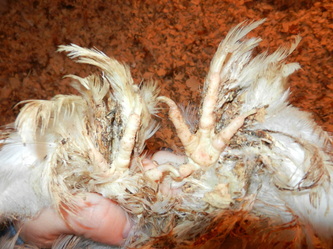 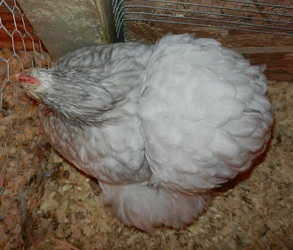 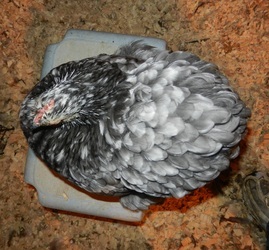 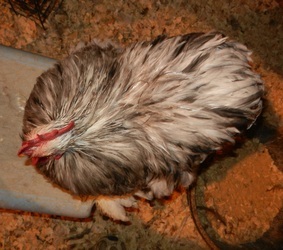 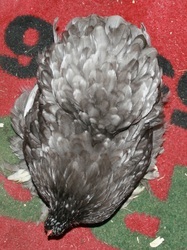 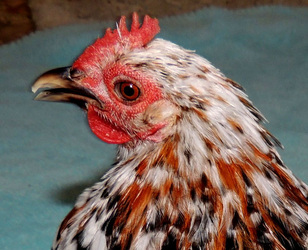 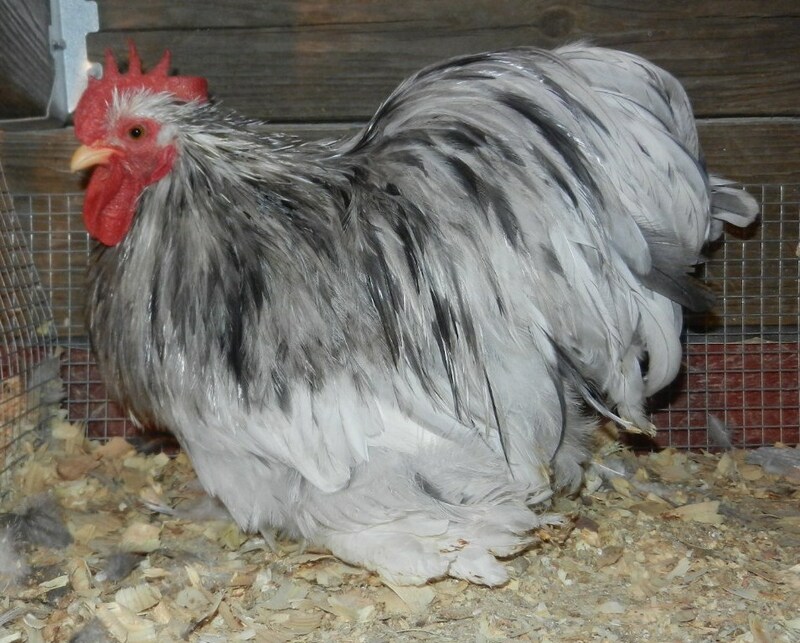 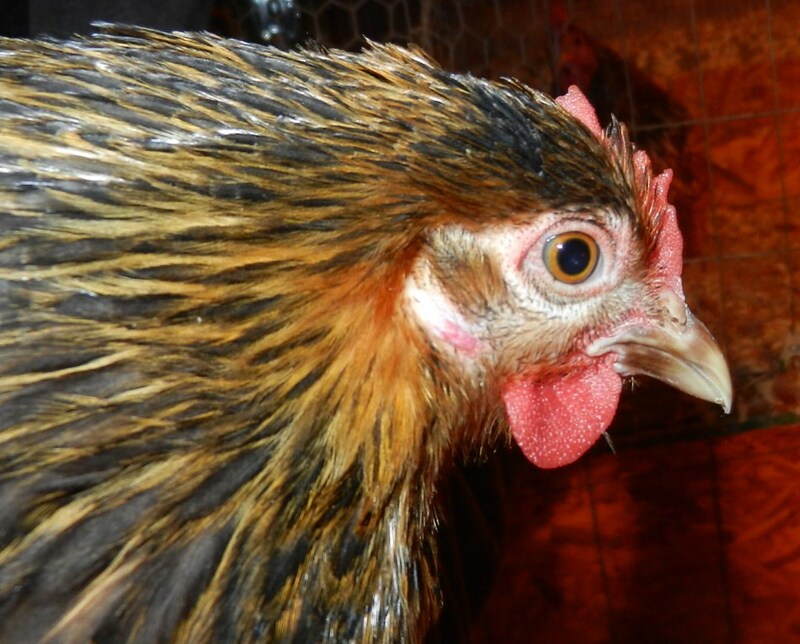 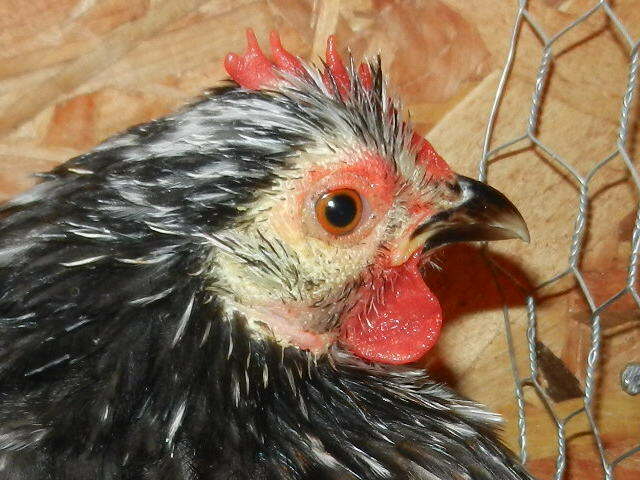 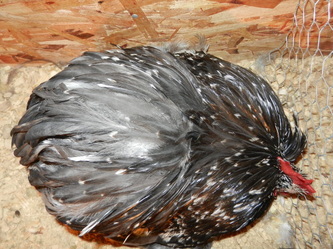 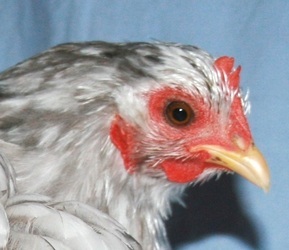 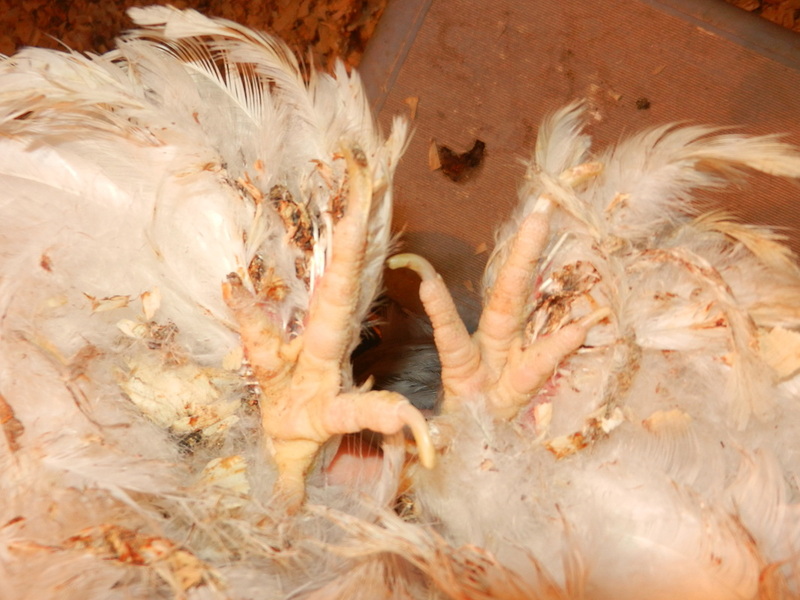 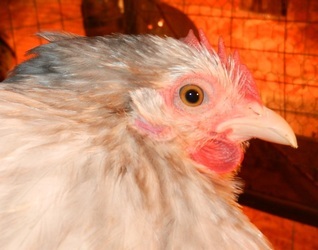 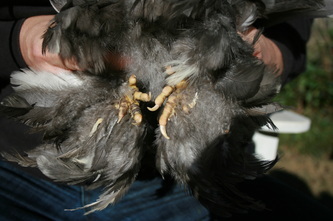 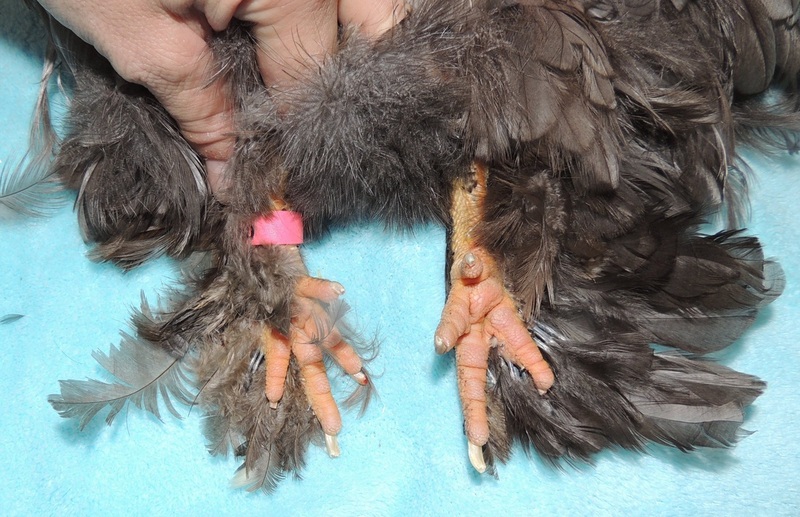 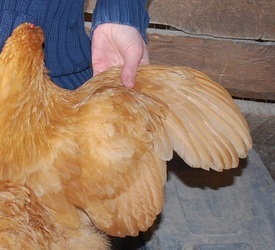 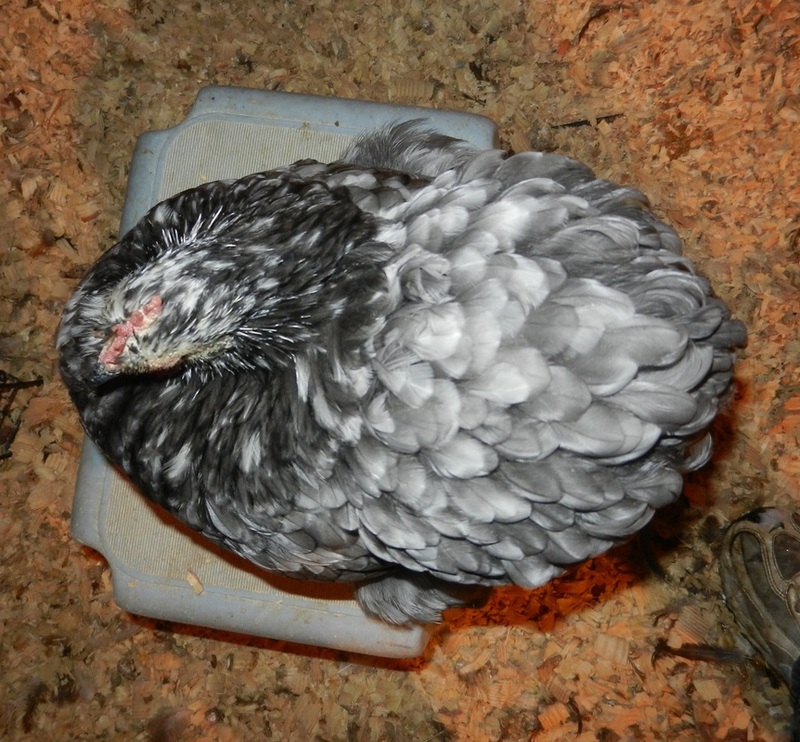 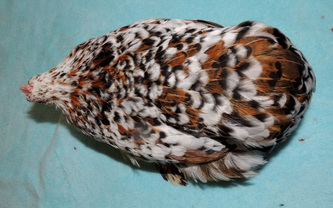 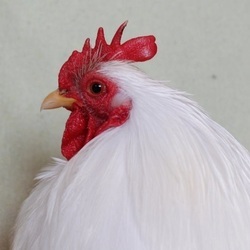 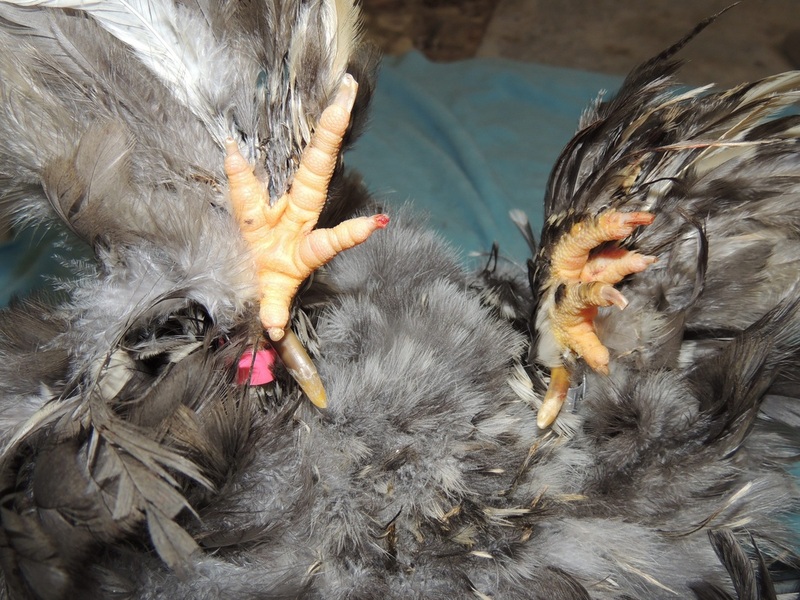 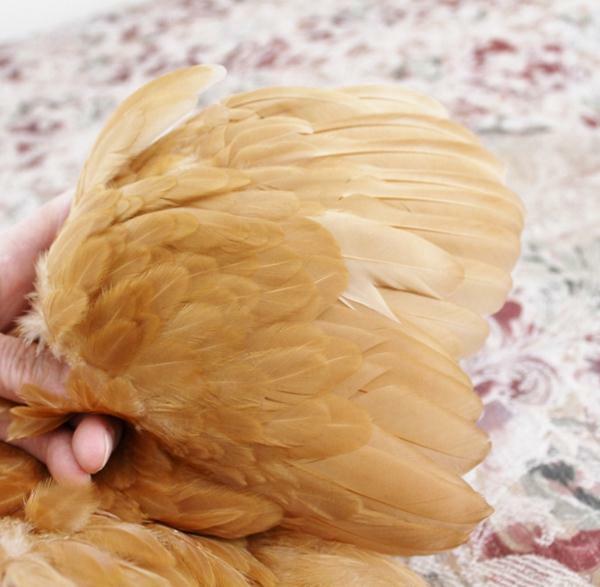 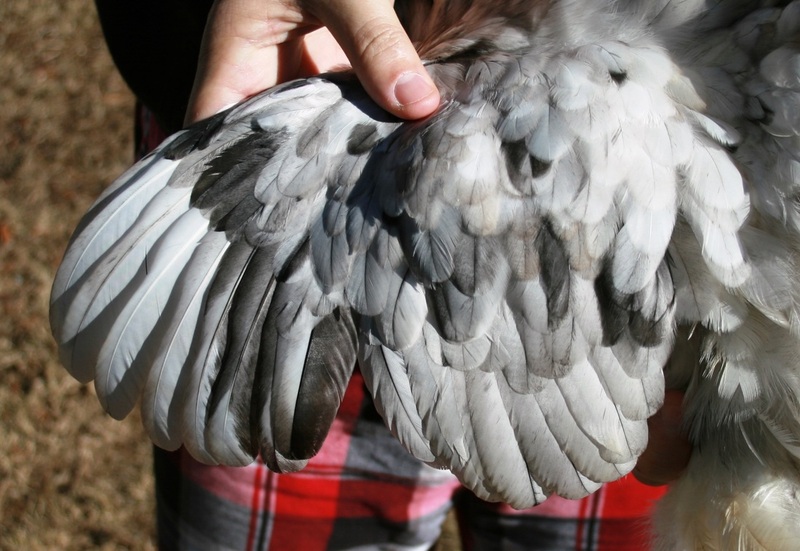 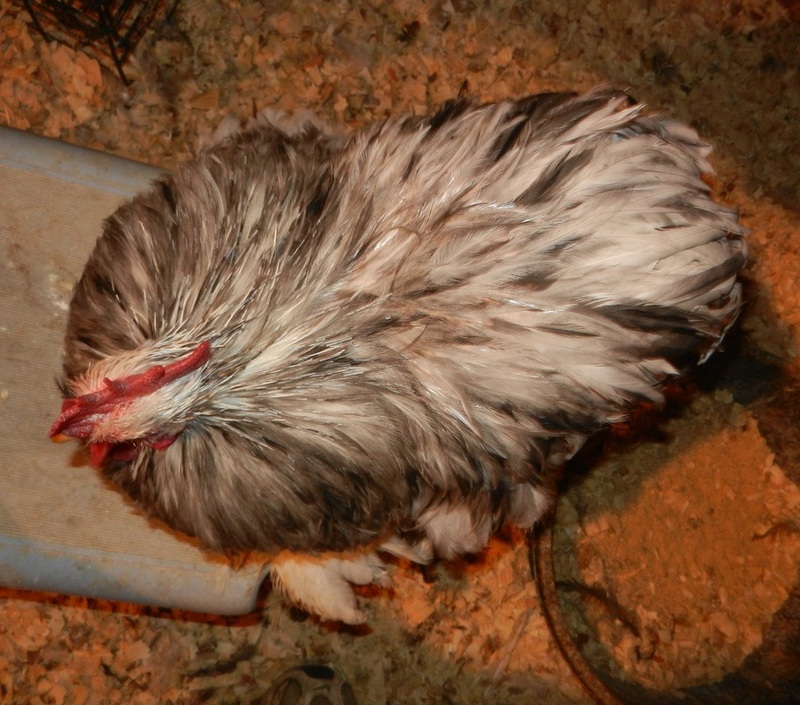 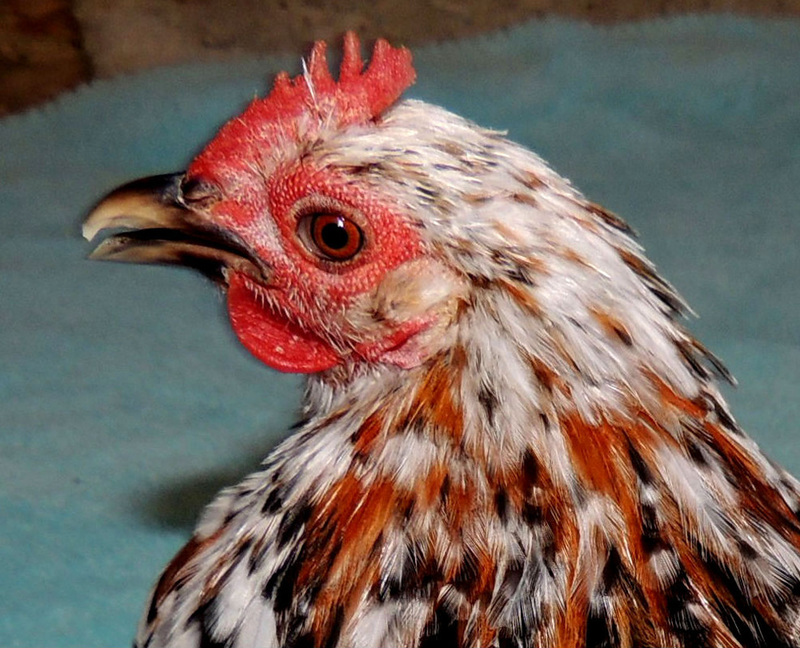 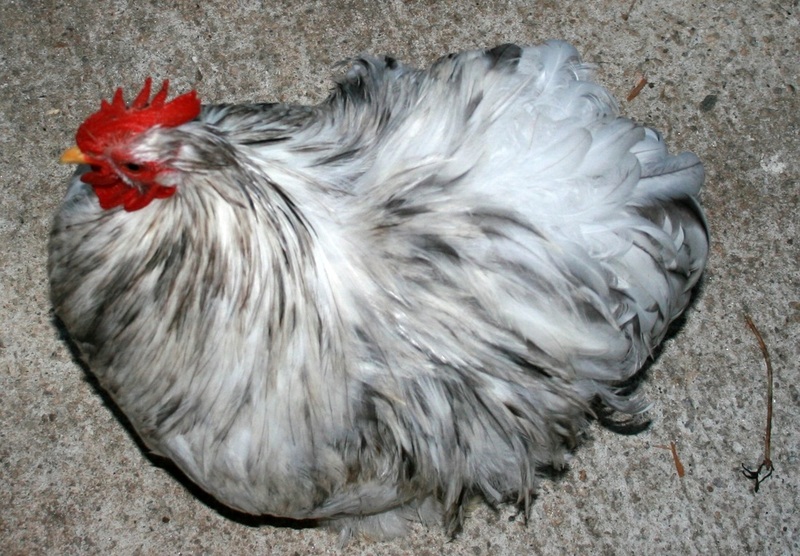 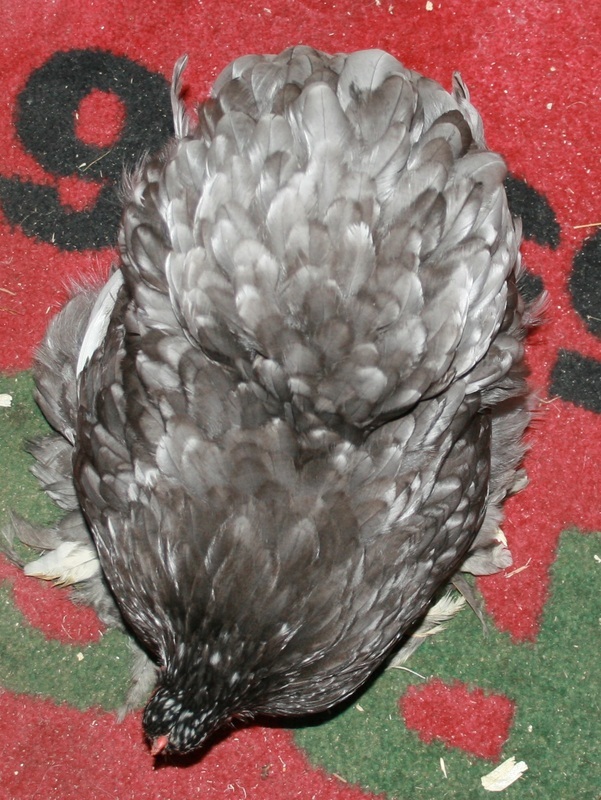 "Trim beak, color is off mottling "tips of feathers should be white", nice type and head." 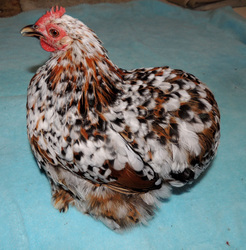 "Small in type, good start in color, check Mille Fleur pattern in Standard." "Out of condition, missing wing feathers, color could be more like Andalusian Blue." "Trim beak, watch ear lobe looks white, many shades of Buff-like to see one shade from hackle to cushion." "Trim beak, watch grey in secondary wing feathers, narrow cushion feathers." 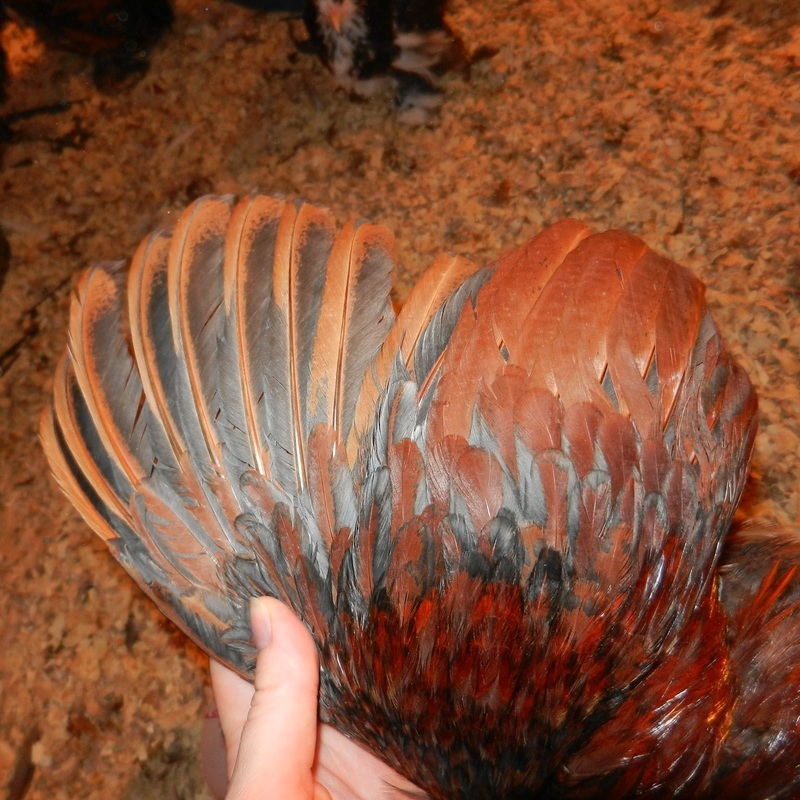 "Needs to color out more." "Dark in eye color, weak wing." 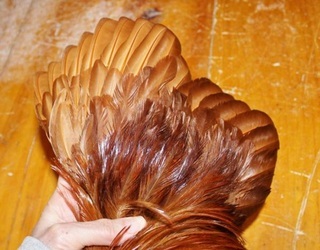 "Narrow head, dary eye, nice cushion, weak wing, watch shank color." 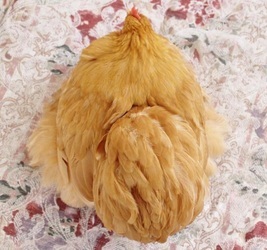 "Nice head, not finished in cushion."